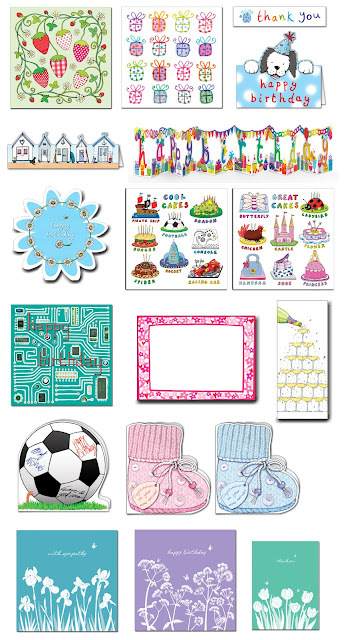 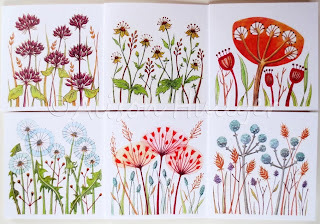 Pencils - postcards, wrapping paper and bookmark published by Phoenix Trading Jan & May2015. 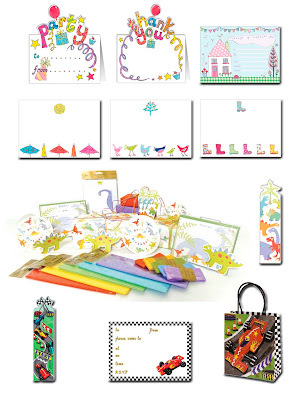 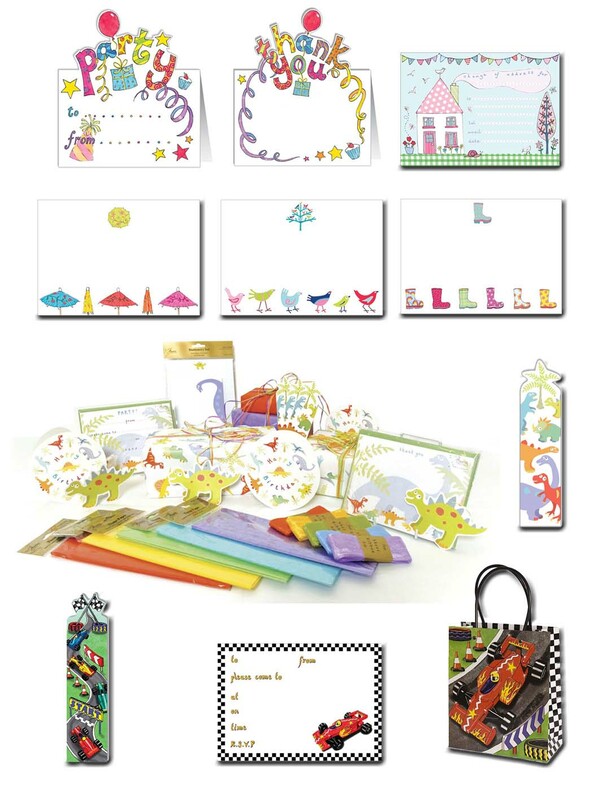 Ceramics - card, wrapping paper and jotter pad published by Phoenix Trading March 2014. 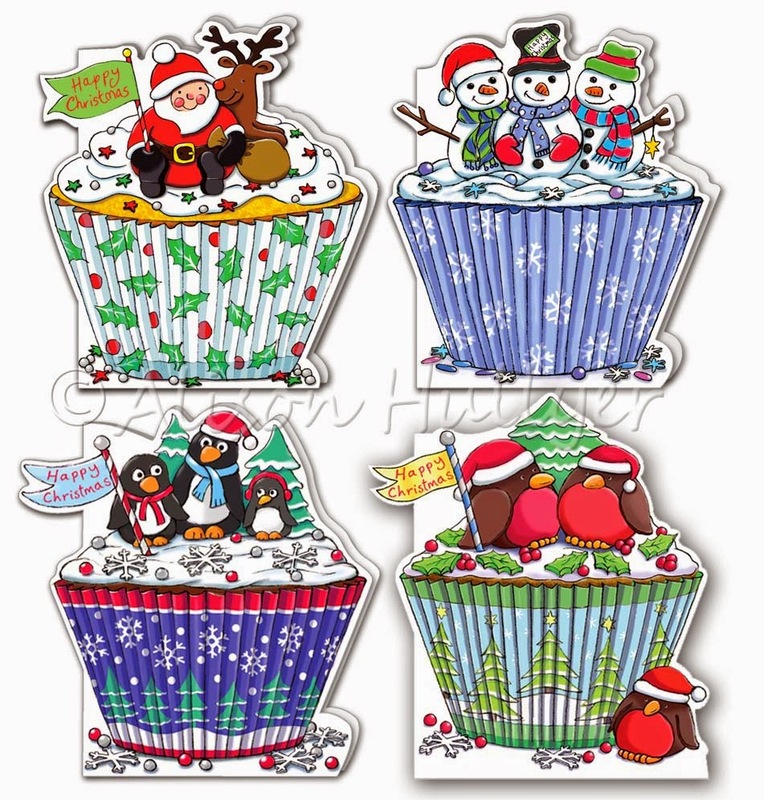 Set of four die-cut Christmas cup cake cards published by Phoenix Trading over the last four years. 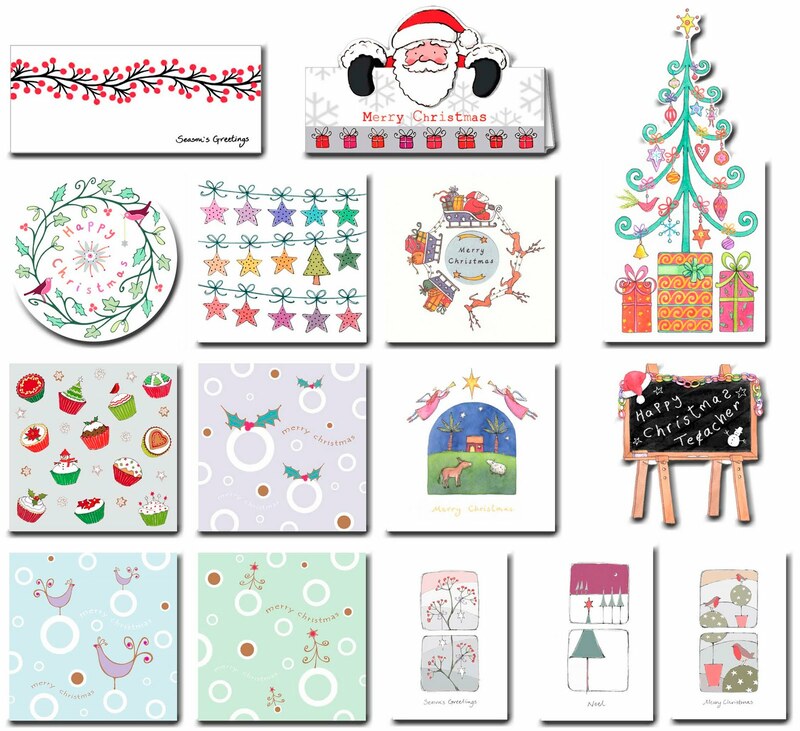 Christmas designs for Phoenix Trading including two advent calendars, angel tree decorations, paper-chains, memento box, postcards, stocking garland and a fun Santa Wish List set which includes stickers and magic dust. These Christmas designs are all available from Phoenix Trading. 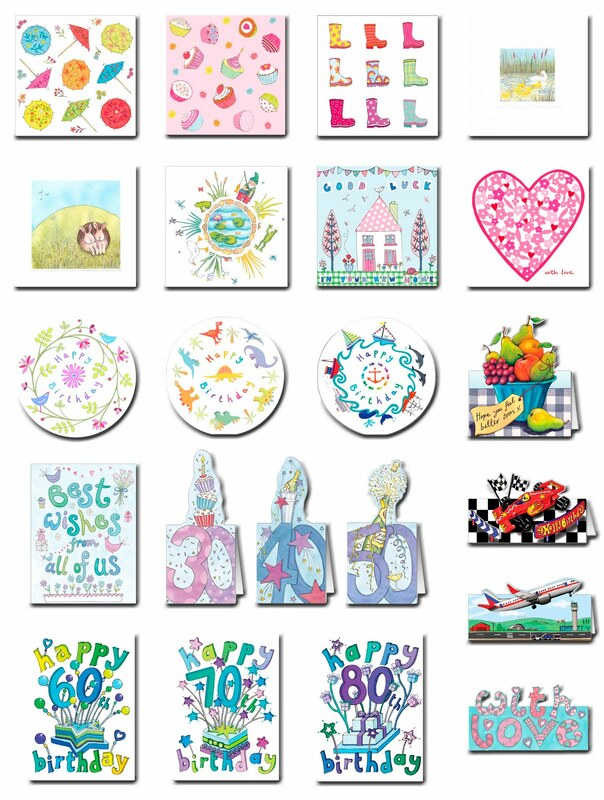 Cards start at £2.75 for a pack of ten. The stockings make a 4 metre long festive garland when strung together. 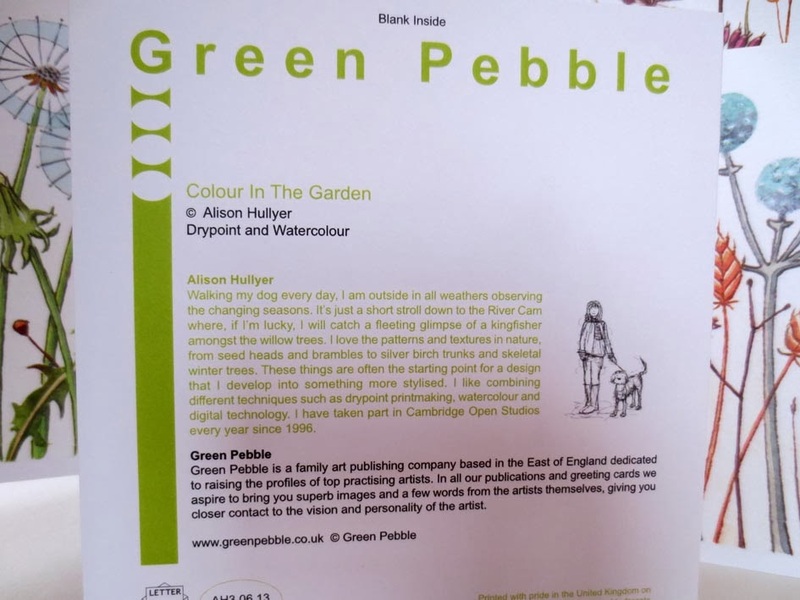 And the paper-chains have 144 links per pack, stretching 3-4 metres. 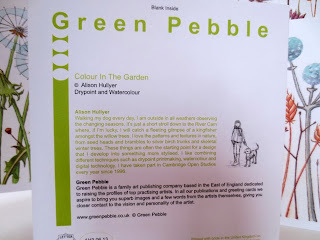 This was a lovely commission to have from Phoenix Trading. 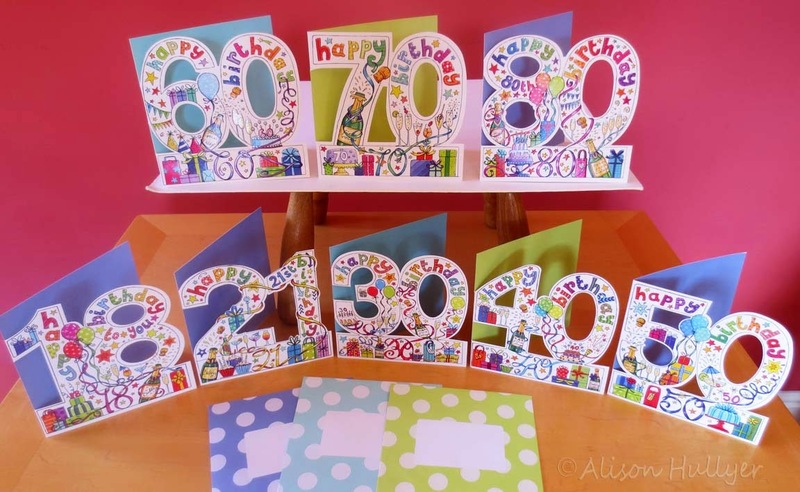 A set of eight age cards and four occasion cards all 6" square, die-cut and with spotty coloured envelopes. 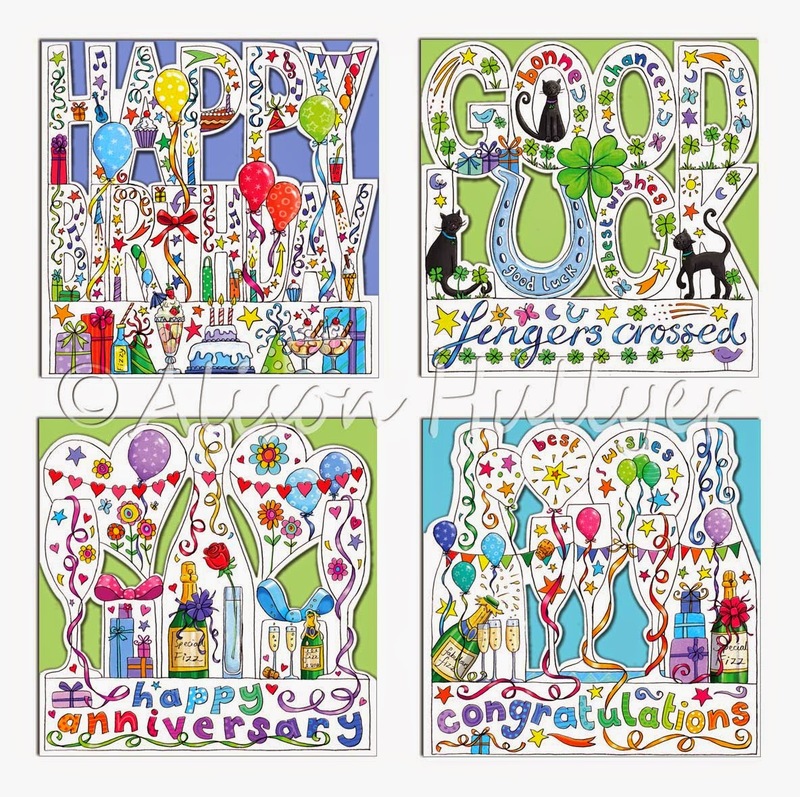 Here are a few general card designs I've had published by Phoenix Trading. 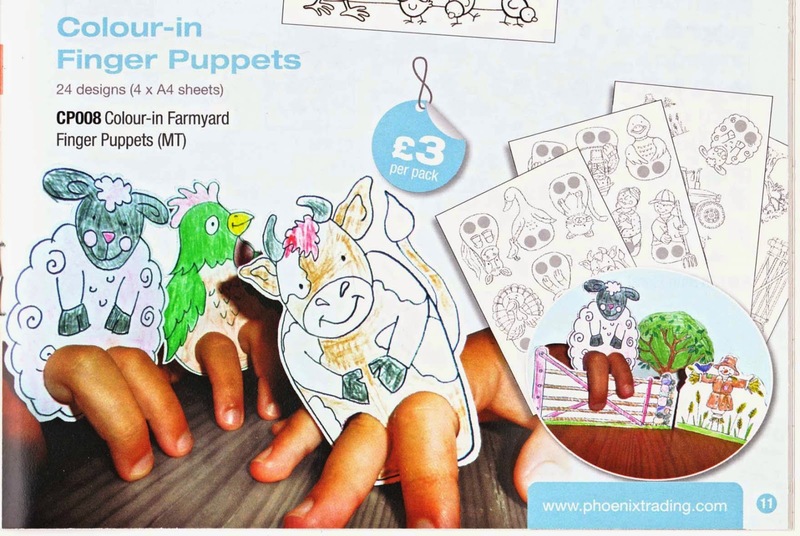 This fun set of 24 Colour-in Finger Puppets was published in October 2013. 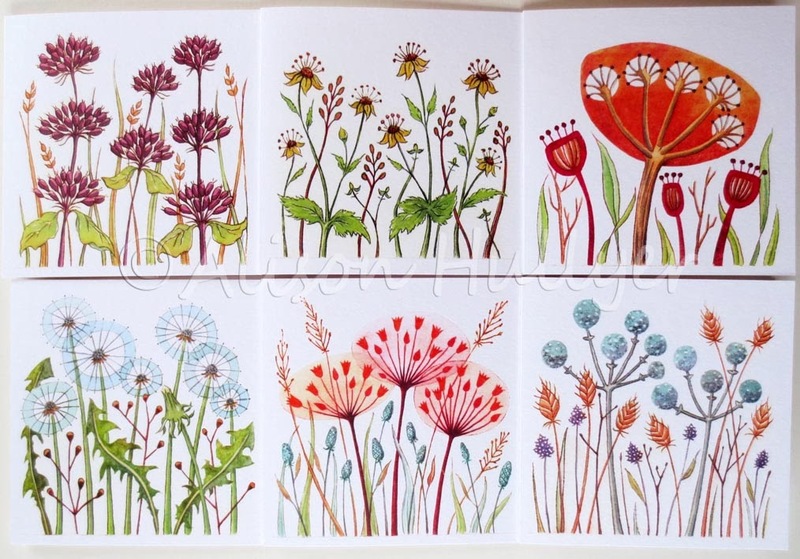 These six cards are published by Green Pebble. 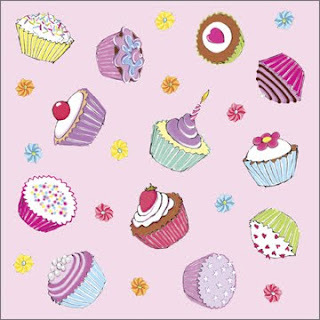 Over 230,000 Cupcake cards have been sold since it was published in 2006. 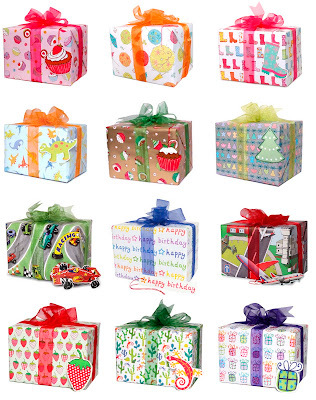 This shows some of the wrapping paper and gift tags that have also been published by Phoenix. 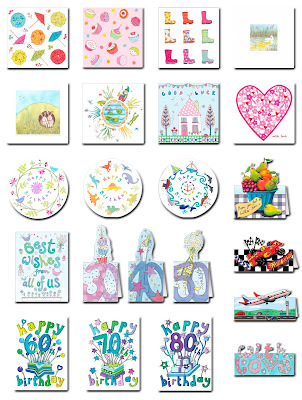 And here are more designs that have been published as invitations, postcards and bookmarks. 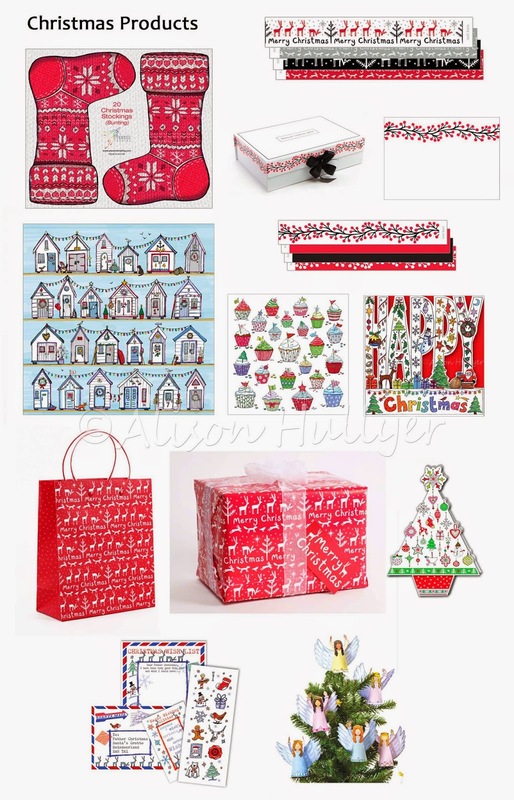 A selection of my older Christmas designs.